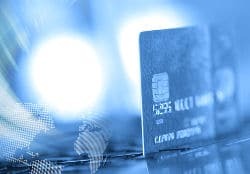 Here at Balance Transfer Expert we see a lot of UK credit card customers looking for answers to questions like the one above, when they are planning to make a balance transfer. Is Barclaycard MBNA? This is one of the questions that we have seen on an increasingly regular basis, over the last couple of months. Why are so many credit card customers asking questions about the Barclaycard MBNA topic? The reason is that many of these customers will know, that you are not allowed make a balance transfer between two credit cards which are issued by the same company. So are Barclaycard and MBNA credit cards issued by the same company? If you are looking for a personal credit card, as most UK balance transfer credit card customers are, then the current answer is no. Barclaycard and MBNA are currently separate credit card issuers. The answer to the question is Barclaycard MBNA, is however different when it applies to small business credit cards. In April 2011 Barclaycard bought MBNA’s small business credit card portfolio in the UK. This resulted in around 60,000 small business credit card accounts being transferred from MBNA Europe to Barclaycard. So in summary, is Barclaycard MBNA? The answer is currently no for personal credit cards, but yes for small business credit cards. Barclaycard was the first company in the UK to provide credit cards back in 1996 and is owned by British bank Barclays PLC. MBNA Europe Limited had been owned by Bank of America since 2006 and first began offering UK credit cards in 1993. Lloyds Banking Group has now purchased MBNA Europe from previous owners Bank of America, with this deal completed in June 2017. Balance Transfer From One Barclaycard To Another? « « Balance Transfer From Lloyds?